This a optional HPI Heavy Duty 7075 Aluminum Rear Shock Mount Brace, and is intended for use with the HPI Baja 5B and 5T 1/5 scale vehicles. 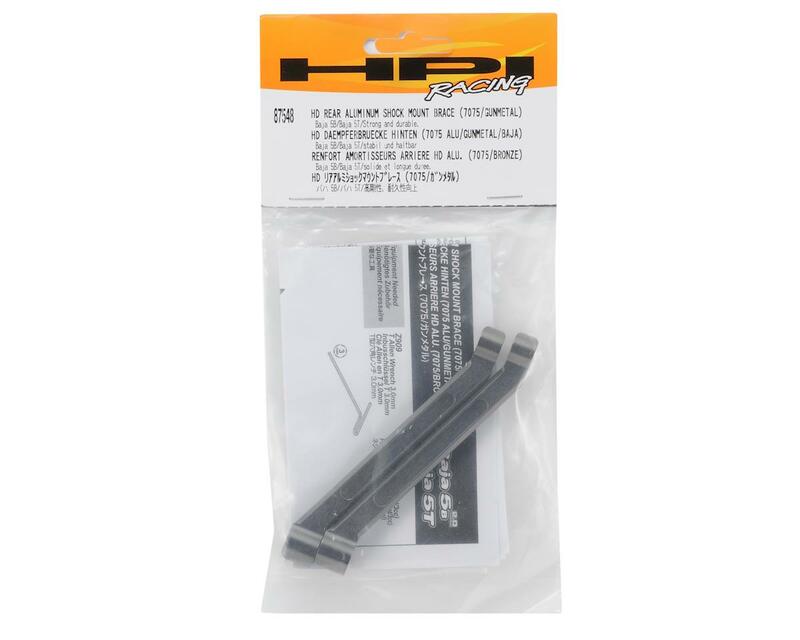 This is an authentic HPI bolt-on upgrade part is precision machined to the exact factory specifications for a perfect fit. Heavy duty aluminum construction adds strength for resistance to crash damage and holds the rear shock tower firmly in place. 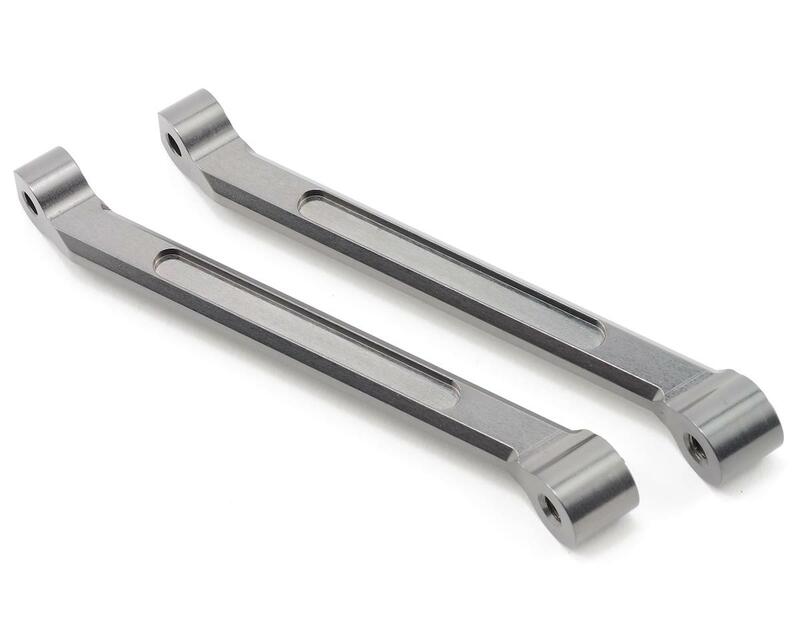 Machined from 7075 billet aluminum and gunmetal anodized for a custom look. This upgrade part replaces the stock nylon mount (#85438).